Become certified in High Performance CPR and help make a difference in your community! Your CFD firefighters will offer 4 hours of free CPR classes to the public once every quarter. Students will receive a free pocket mask and will have access to a digital version a student textbook for 2 years. Attendees are not required to bring anything! Simply arrive with a good attitude and comfy attire! Classes will be conducted at our training facility located at 2156 Milford Street and seating is limited to 18 students per program. Pre-registration is required. Following the CPR training, students will have the opportunity to participated in the Stop the Bleed program, which provides a short training session on tourniquets, specialized trauma dressings, & more. The program is for non-medical providers and is intended to educate our citizens. Our target audience includes citizens who may not otherwise receive this training at work or in their profession. This training is not intended to meet workplace requirements and businesses are prohibited from sending their employees to this program to meet workplace requirements. Be at least16 years of age or older. Able to participate in 5-10 minute of vigorous activity at a time, sit, kneel, and bend repeatedly. Coffee & Water will be provided; you may bring light snacks with you as well. Lastly… Have fun! We strive to provide an enthusiastic, enjoyable teaching experience and will work hard to ensure you leave with confidence in your new-found skills! What kind of certification does your program offer? This program is designed for people with no prior medical knowledge or training. Those seeking recertification in CPR/AED may use this course to complete that requirement. Can you issue a BLS (Basic Life Support) card? No. This course is intended for non-medical personnel. BLS is a credential specific to first responders/medical personnel. How do I maintain my card once I pass? CPR cards issued by this program are good for a period of two years. It is the card holders responsibility to find a CPR Refresher class. The Charleston Fire Department CPR Program is there for initial certification and while we’re happy to have you back – we cannot guarantee class seats for renewal! How many classes will you offer? 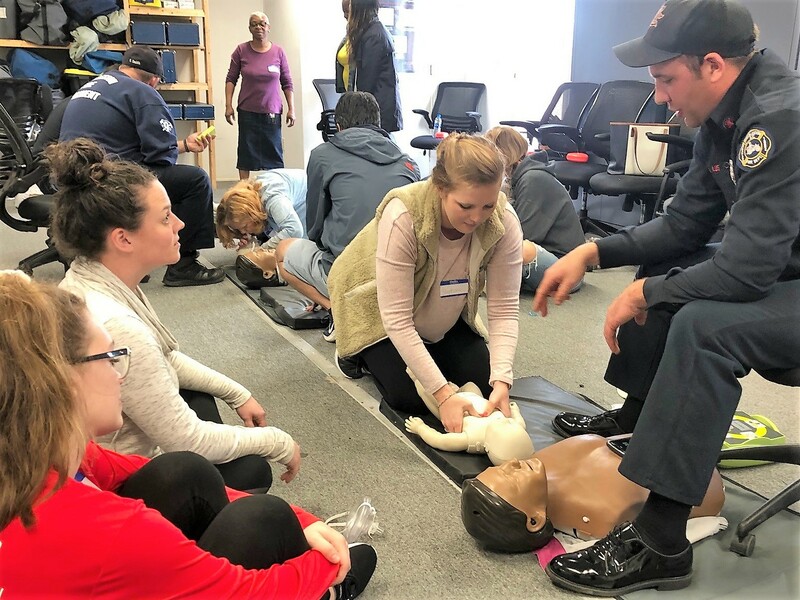 The Charleston Fire Department CPR Program is currently in its pilot phase for 2019 and intend to host 4 classes with a student cap of 18 per class. If the program is successful, our goal is to expand this offering in 2020.